Venom was not venomous enough, but at least he's funny. Just when we thought that we’ve had enough superhero movies this year, Venom arrives. But who can complain when you have Tom Hardy playing the well-loved Marvel comic book character? We were first introduced to Venom in the 2007 Spider-Man 3 – before you confuse yourself, it’s Tobey Maguire’s version of Spider-Man. 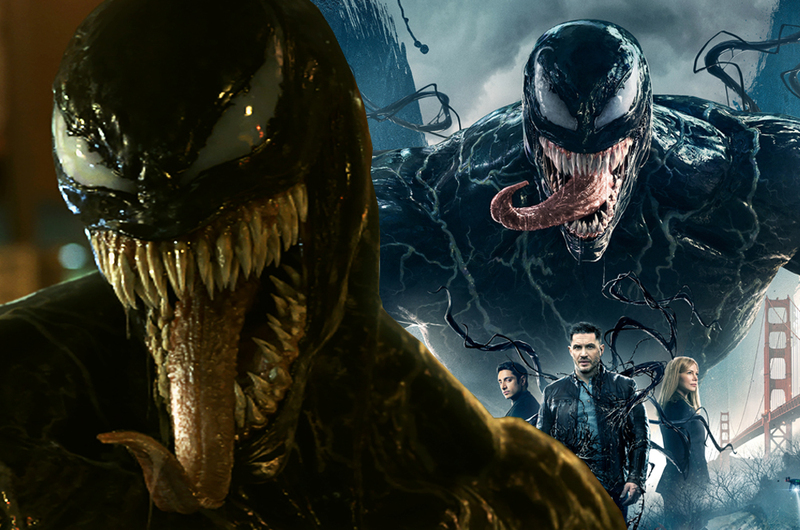 Ten years later, Sony Pictures finally decided to make a standalone film dedicated to the character, which basically means that Venom is set in its own universe. So, don’t start imagining crossovers between Venom and your favourite characters yet, at least for now. Before we begin, toss aside everything you remember about Venom’s first cinematic debut because the Venom you are going to experience here is much more complex than that. 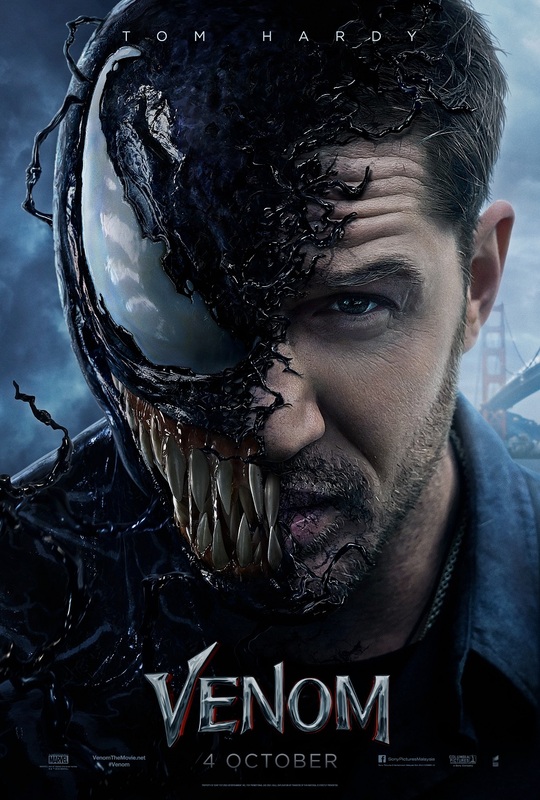 Directed by Ruben Fleischer, one of Marvel’s most popular characters takes center stage as Eddie Brock (Tom Hardy) becomes the host for an alien symbiote, Venom. 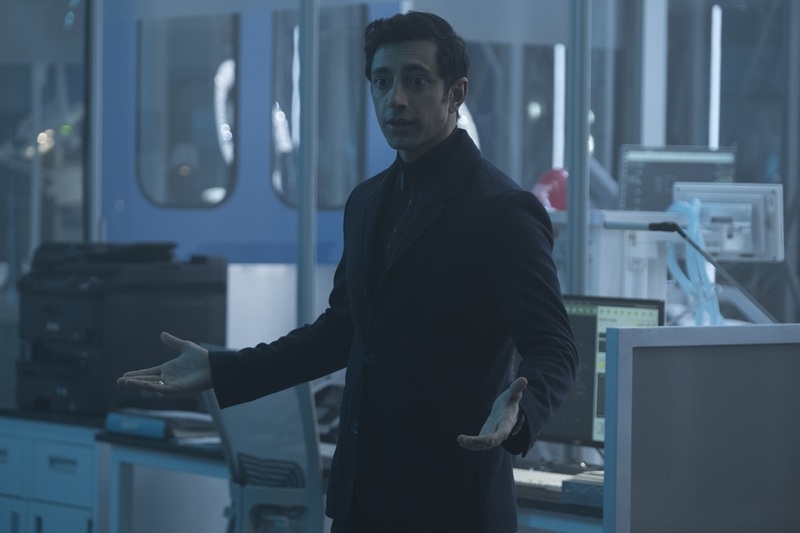 As an investigative reporter who has made a name for himself by exposing controversies, scandals, corruption and other ugly things of the world, Eddie has been trying to take down the notorious founder of the Life Foundation, Carlton Drake (Riz Ahmed). While investigating one of Carlton’s experiments, he stumbles upon Venom and ends up bonding with the symbiote. He suddenly has new superpowers that are fueled with strength, violence and plenty of rage. Eddie is left on his own to wrestle with Venom and control his newfound dangerous abilities that he finds empowering and intoxicating. Soon, both entities discover that they need each other to get what they’re looking for as they become more and more intertwined with one another. Now, the question is, will the isolated world of Venom be on par with the decade-old Marvel Cinematic Universe? We had the chance to attend an early screening of the movie before the rest of the world and here are some things we just cannot believe we saw in Venom. Warning: The following review may contain mild spoilers. Tom Hardy has always been flagged as one of the greatest actors of our time. As soon as he walks into a room, we guarantee that everyone would turn and start gawking thanks to the pure aura that he exudes, both men and women. Come on, you cannot deny his good looks. Granted, in Venom, he comes off as a bit of a loser after losing his job and relationship because he pissed off Carlton Drake during an interview. But he certainly doesn’t look like a loser, especially while racing through the city on his super cool motorbike. Even after playing host to Venom and looking like he constantly needs to puke while his body tries to adjust to the symbiote, the occasional smoldering gaze and attractive smile you see on Eddie makes you wonder if there is any reporter that looks like that in Malaysia? All jokes aside, Hardy brings a certain charm and machoness to Eddie Brock that can rival Clark Kent's Superman anytime. If you can get pass the weird accent he has in the movie, you're good to go. While Venom is supposed to be one of the most badass antiheroes in the history of comic books, Hardy’s outspoken and quirky portrayal of the character is somehow captivating. Hearing a deep, dark foreign voice in his head while looking into the mirror or walking down the street initially frightens Eddie. But as the story unfolds, the “parasite” in him gradually turns into a true bond, making them seem almost like two BFFs trapped in one body. 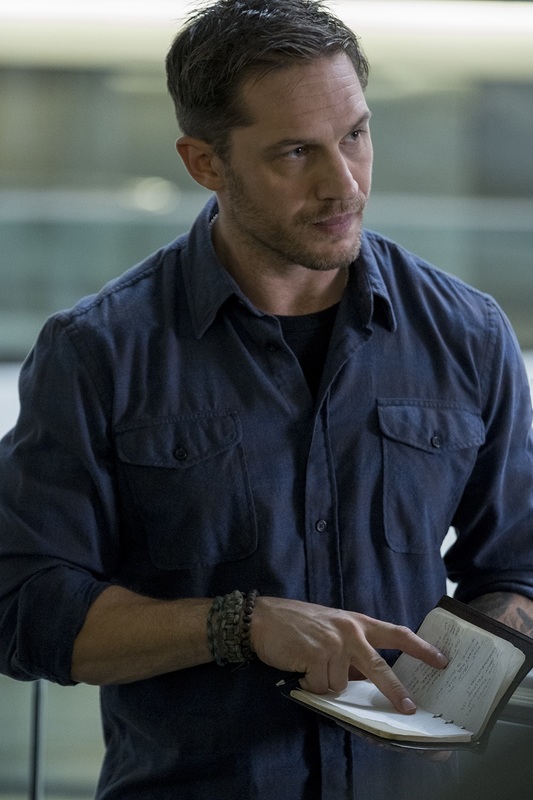 Did we mention how much we love Hardy's Venom voice as well? He is clearly the man for it. But this is where it gets confusing for us. Isn’t Venom supposed to be boiling with rage all the time? The monster is supposedly unleashed as it merges with its host and the darkest side of the host’s personality comes out. But it doesn’t seem so the more we see Eddie and Venom bond with each other. Despite the ugly and slimy face, creepily sharp fangs, and disgustingly long tongue, Venom comes off funny and borderline adorable at times, especially when he interacts with Eddie. And as for the host, we see a more confused and scared Eddie most of the time, instead of a raging person who is always thirsty for blood. In fact, Venom is just hungry for live food all the time, rather than bloodthirsty. 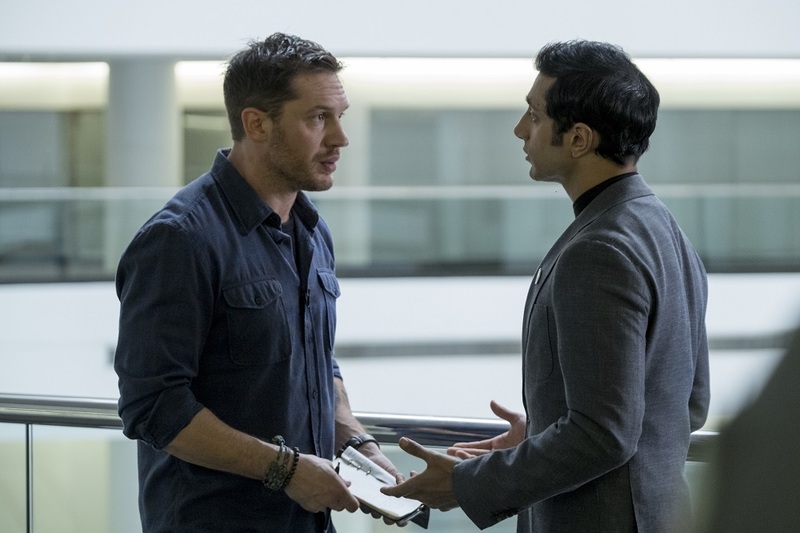 Having said that, Hardy brings so much to every look, every moment, every detail and every word, that the chemistry between Eddie and Venom is probably the best part about the movie. The witty exchanges and constant bickering between the two takes the darkness away from the whole story and turns it into pure entertainment. Whether this is a good or bad thing, we'll leave it to you to decide. Carlton Drake is the villain to the antihero and the bad to the badass in this movie. As the leader of the Life Foundation and genius inventor, he is obsessed with creating a future for the human race and developing a way for the greater good of mankind through space exploration. He thinks that humanity has destroyed our own planet and wants to tap into alien lifeforms so that humans can find a home in space. But the smooth-talking visionary is nothing more than a criminal who starts to believe in his own web of lies. He orders experiment after experiment in his lab, trying to find the perfect symbiote-to-host bond at the cost of other people’s lives. As Eddie tries to put a stop to his master plan, Carlton eventually bonds with another symbiote and transform into Venom’s nemesis -- Riot. Now, you can see where this is going, so we don’t have to delve much into that. However, Drake is not convincing nor is he intimidating at all as a villain. Considering the fact that he is against one of the darkest and most complex antiheroes, we expected an even darker villain. To put it simply, he is just like every other evil genius that has come face-to-face with every other superhero, but less scary and threatening. The only exciting thing that came out of this odd relationship is probably the final battle between Venom and Riot. Now that, is one to watch. Every superhero needs a damsel in distress, even antiheroes like Venom. 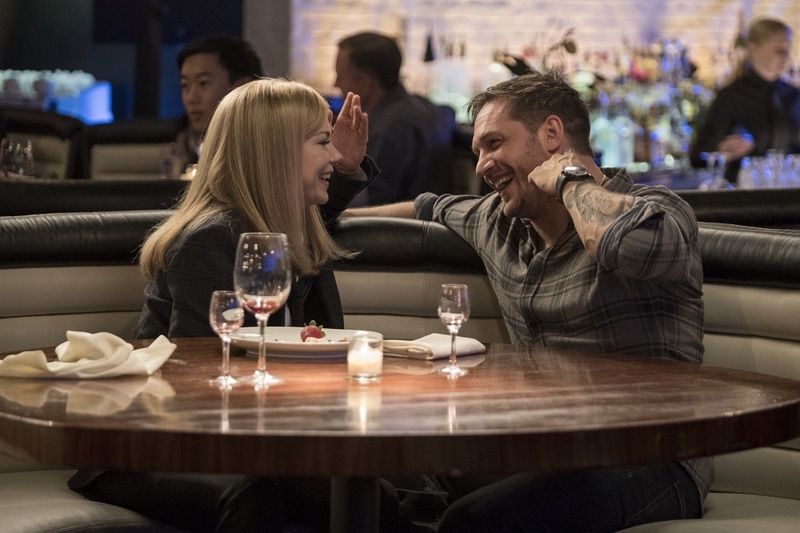 Anne Weying (Michelle Williams) is a lawyer working at a firm that services the Life Foundation, and things get complicated when Eddie, her fiancé, gets entangled with her client's company. Shortly into the movie, she dumps him after one of his failed investigative attempts. But even in that short period when they are together, there is almost zero chemistry between the two. In fact, the characters show better chemistry when they are no longer in a relationship. Williams doesn’t even get that much screentime in the movie. And when she does, she is either looking for Eddie or asking him to go away. In other words, if there is no love between the lovers, why have them together in the first place? Nevertheless, we did appreciate that one short scene when Anne helped Eddie, which is probably one of the most crucial points of the movie. But that’s the point, you see, it’s too short! If only they followed the comics in this one. We wonder if we'll ever get the chance to see some real female symbiote a.k.a. Lady Venom in action in the future. Venom is rated PG-13 to cater to a wider audience and allow for potential crossovers in the future, especially with your friendly neighbourhood Spider-Man. In that sense, it's fair enough. So, because of this rating, there is almost no blood and gore throughout the movie, other than Venom’s ghastly face. If the director and producers intended to honour the original comic book character in all its violent glory, you know, when he bites people’s heads off and eats their brains, Venom has nearly none of that. How can you bite off someone’s head without having even the tiniest bit of blood splash? We didn’t expect Venom to be another foul-mouthed and brutal Deadpool, but the entire tone of the movie left us very confused. It felt like they couldn’t decide whether they wanted it to be dark and brooding or funny and light-hearted or just a plain, old-fashioned superhero movie. No matter which end of the spectrum Venom falls in, we trust that the fans would have enjoyed it better if it stayed true to the nature of the character. The opening scene shows a spaceship crash landing at a place that surprised the whole cinema hall – East Malaysia. Yes, as in the ship carrying the alien symbiote specimen that eventually breaks out and intoxicates its first human host. So, it starts in Malaysia! 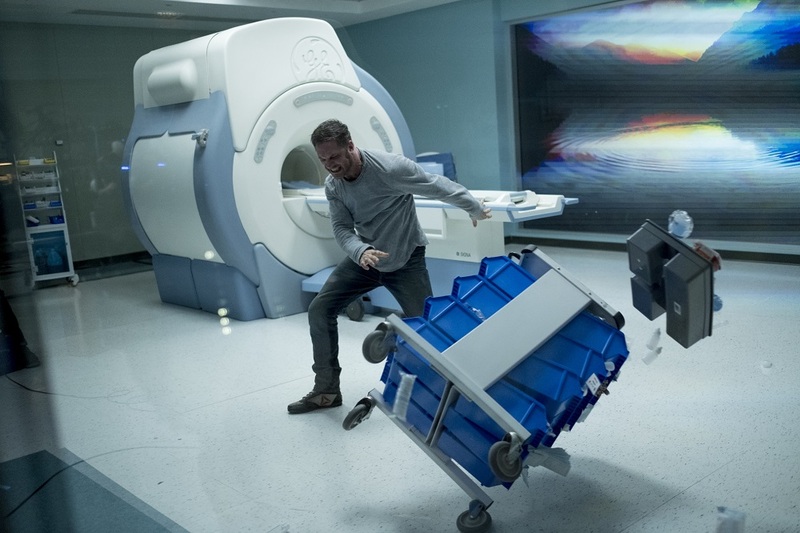 We’re not sure if this scene was actually filmed in Malaysia, but throughout the movie, parts of Borneo, Sibu, the Malay language and Sarawak made its way into Venom’s universe. Malaysians, make sure you watch out for our country in the movie! Overall, as the origin story of a significant Marvel character, Venom was mediocre, albeit funny with maybe several LOL moments. Diehard fans may appreciate the movie to pay homage to the comic book, but others will leave the cinema feeling like a big chunk of something was still missing. If there is one saving grace from the movie, it is hands-down Tom Hardy. Despite the overall ‘meh’ feeling, we predict a sequel will follow purely because of him and his top-notch performance. We definitely don’t mind seeing more of Hardy. We hope that the producers will take note of what works and what doesn’t in Venom and make the next one 100 times better. Well, after seeing the post-credit scene, it better be better! Venom is out in cinemas nationwide 4 October 2018.